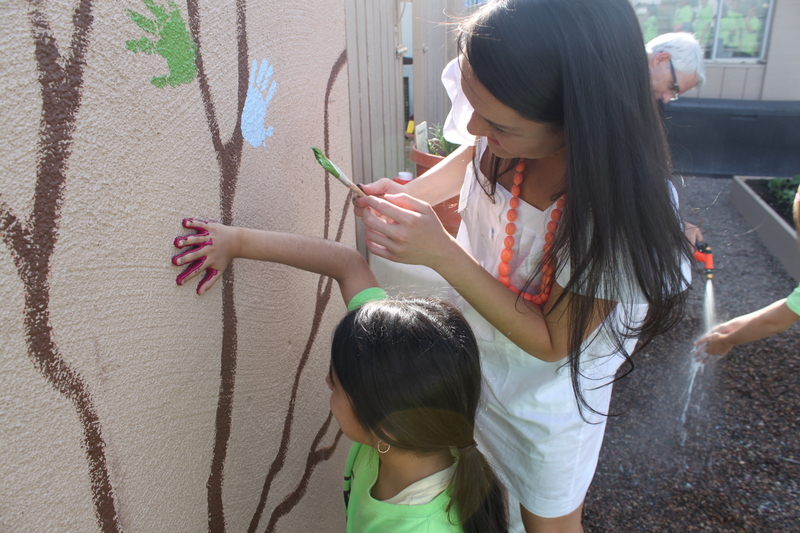 For two Scottsdale families, leadership runs in their blood. Residents Doug Sydnor and Sharyn Seitz joined Scottsdale Leadership Class II in 1988 with a common goal; to learn about and give back to the community in which they had chosen to live and work. Little did they know, their daughters, Siena Snydor and Rebecca Seitz, would graduate almost 25 years to the date from SL Class XXVII. The four share their experiences with Scottsdale Leadership below. I had been working in government budgeting for many years before I was appointed by the mayor to the Citizen’s Bond Committee to oversee the spending of the bond money approved by the voters. It was rewarding to be able to apply my knowledge and experience to an important oversight role for the community. How did your experiences with SL help your career? I learned to work with volunteers as both a leader and a participant, which has helped me in all aspects of my life, in particular, in my corporate management roles. Have you kept in touch with your fellow SL members? Yes, I have. Even after moving away from the area for about 11 years, I was pleased to find that my fellow classmates welcomed me back. What would you want future applicants to know about the program? Working with others on projects, committees and commissions without ties to employment is a different dynamic than managing people in an employer/employee environment. President, Doug Sydnor Architect and Associates, Inc.
What attracted you to SL? It was through the Valley Leadership program that I met former Mayor Sam Campana and Gary Shapiro, who among others, founded Scottsdale Leadership. I saw this new program as a way to learn more about Scottsdale. Fellow classmate Jamie Drinkwater Buchanan introduced me to her father, Mayor Herb Drinkwater, who appointed me to the City of Scottsdale Development Review Board. Originally, I turned down the opportunity because my civic involvement plate was full at the time. However, I eventually returned his call and accepted the position. It was impossible to say no to Mayor Drinkwater! How did you apply your experiences in SL to your own life? Scottsdale Leadership broadened my network of friends and acquaintances, as I met many people that you would not normally encounter in your daily work routine. Also, I have been consistently involved in the community on over 30 boards and commissions, and have served as the president or chairman for nearly half of them. Scottsdale Leadership makes you so much more aware of the resources, personalities, opportunities and challenges within Scottsdale. The program motivates you to step up and try to make a difference in the community. Leadership was a natural progression in my career and in my involvement in the community. However, I remember the pride my mother had being accepted into the program, and enjoyed hearing about her class days. 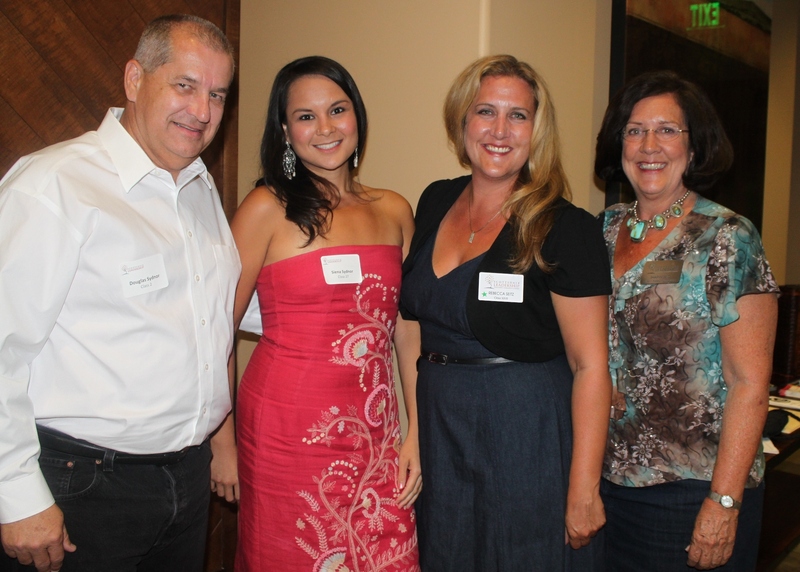 I appreciated the fact that she maintained close relationships with many of the Scottsdale Leadership alumni. Did your mother impact your decision to join SL? Yes, I was inspired by my mother to join. I also felt it was important as an owner of Sphinx Date Ranch to continue the legacy of involvement in Scottsdale. Former owner Jason Heetland was a graduate of Class XVII and his father, Rick Heetland, has a long legacy of contributing to Scottsdale. How has SL changed since your Mother was a member? My mother’s class was about half the size of mine and did not have a class project. Since her involvement, Project Pay it Forward has been implemented. This aspect allowed us to identify community needs and execute a community service project, which will leave on for years to come. Did your father impact your decision to join SL? My father shared his experiences with Scottsdale Leadership with me and it seemed like a great opportunity at the time. I work long hours, and Scottsdale Leadership gave me an opportunity to step away from my career get to know the community I grew up in, while meeting many other involved young professionals. 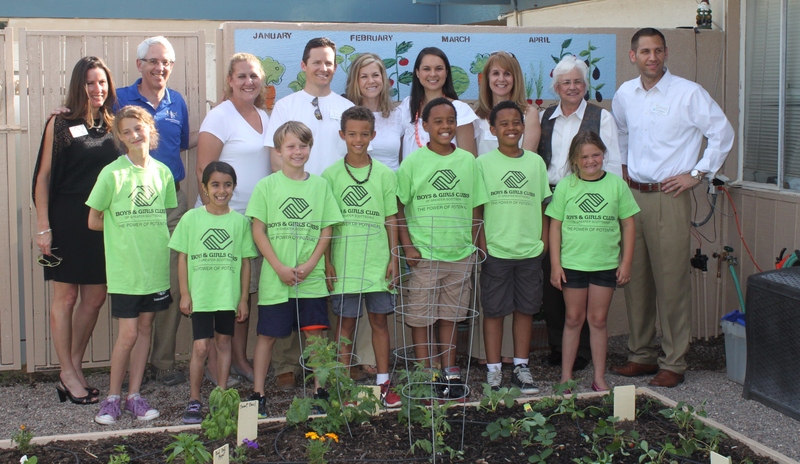 Getting up early on the weekends to build the Plant the Seed garden for the Boys and Girls Club was the most rewarding experience. It was a project I saw from start to finish and I developed a new network of close friends. How do you intend of applying your experiences with SL to your own life? From my experiences, I learned I am passionate about economic development, keeping the arts alive and ensuring Scottsdale stays a place where future generations will want to live, work and play. I plan on seeking opportunities in the community where I may be able to make a positive impact. You will get far more out of the program than you give. Be prepared to be present, interactive, passionate and open to a diverse group of people and ideas.